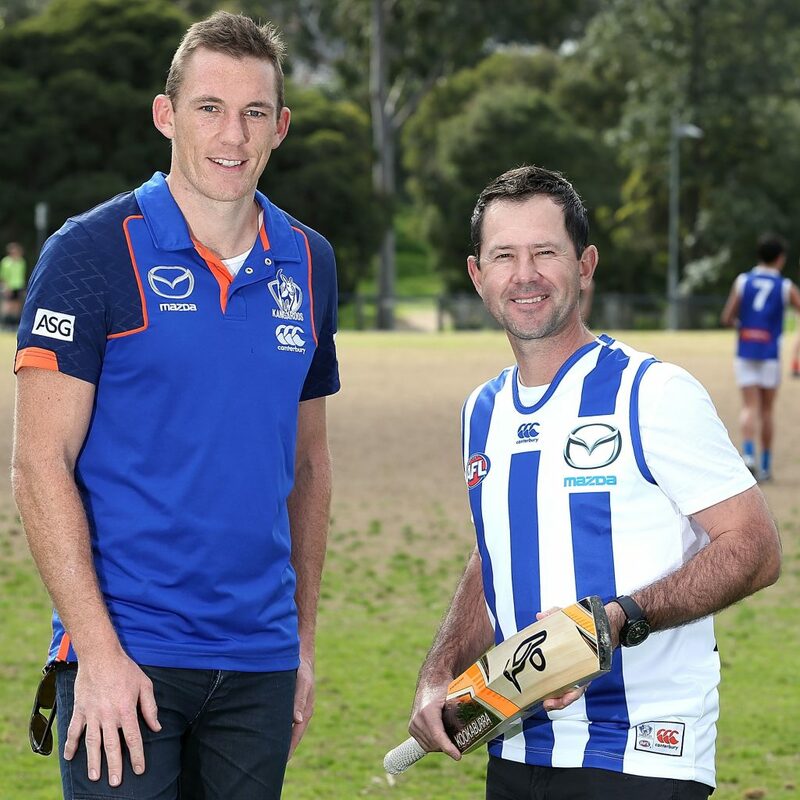 Just days before announcing its squad for Ricky Ponting’s Biggest Game of Cricket clash against Hawthorn, North Melbourne has been rocked by the departure to the West Coast Eagles of batting powerhouse Drew Petrie. The Roos stalwart was one of the stars of Ponting’s Tribute game played in Launceston back in 2014. His unbeaten 38 included 4 sixes and 3 fours and Ponting was expecting to use Drew as his main attacking weapon against the Hawks bowlers. “To tell you the truth I’m feeling pretty flat today,” Ponting said on the news of Petrie being snapped up by the Eagles in yesterday’s pre-season Draft. “Drewy was going to be our main go-to batter and that leaves a huge hole in our planning. But seriously I am rapt for Drewy that he has the opportunity to play on with the Eagles. He’s an absolute legend of our Club but it will be tough to see him line up in an Eagles jumper,” Ponting added. “It was one of the very first things I thought of when I got the call to say I was going to be an Eagle,” Petrie said. “I was so looking forward to playing alongside Punter and the rest of the Roos boys and giving the Hawks the thumping they deserve. I will be keeping an eye on the game from other side of the country though. Am sure it will be a fantastic night of fun and entertainment,” he added. North Melbourne will announce its squad this Saturday. “I am on the phones looking for a gun replacement for Drew. I have someone in mind and if we get him over the line, Flem and the Hawthorn boys will be on the back foot straight away,” Ponting said. Hawthorn named its 18 man squad for the game last weekend. 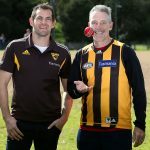 It is headlined by four time premiership players Luke Hodge, Jarryd Roughead and Grant Birchall as well as Hawks legend Shane Crawford. 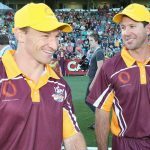 The Hawks will be captained by Damien Fleming in the game that will be played on the evening of 27 January 2017 at University of Tasmania Stadium in Launceston.